Faithful! I am not going to lie to you, Roundhouse is in grave danger. It all started this morning when Harold Johnson from Tainter, Wisconsin walked in the door. Before we could even say good morning he started talking trash on the Vikings. 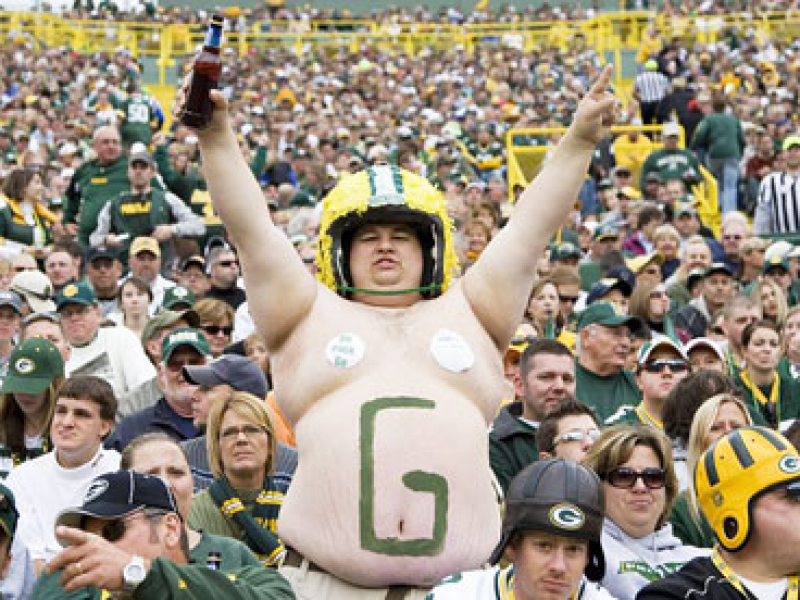 He said he couldn’t wait until he came back Sunday night to watch the Packers dominate. As business owners and professionals we took the high road and locked the cheesehead in the beer cooler. After a couple hours we decided to let him out but we couldn’t. Turns out he barricaded himself in the cooler and is refusing to come out. Seems we forgot that we had a beer tap, a box of Slim Jims, and Nate’s stuffed beaver in there. We tried everything to get him out including cooking brats right outside the cooler door. In frustration, I called the Head Wisconsinite Researcher at the University of Wisconsin- Madison. I asked him how long an average Packer Fan could survive in a 38 degree beer cooler. He said with enough beer he could survive in there forever. In fact 38 degrees is a little on the hot side for him. I guess the average adult male Wisconsinite can drink his body weight in beer every 2 hours!! Our only hope is that he comes out for the Badger game tomorrow. If not, we may not have enough beer in there to make it to the Vikings/Packers game Sunday night. If you want to help out, stop by the brewery sometime this weekend, order a beer and see if you can get Harold out of the cooler. Better yet, come by Sunday night and watch the Vikings take on the Packers at 7:30 and see if he comes out then. Don’t forget to bring a dish to share.